When do moms ever find time to just sit and read anymore? Pretty much never, BUT when you do get the time, making sure it’s the perfect book is so important. The worst is when you get a minute to read and the book is totally boring. I used to love reading fiction novels. The feeling of just relating to the character like it’s your life. Being so caught up in the moments and the details, that you feel like you are in another world. So now maybe it won’t be as serene with kids running around, but there are some pretty fun mom books out there that I would totally recommend everyone to read. They kinda make you feel like it’s just all OK, no matter what hurdles you have gone through! Check out my top 5 great books for any mom to read. 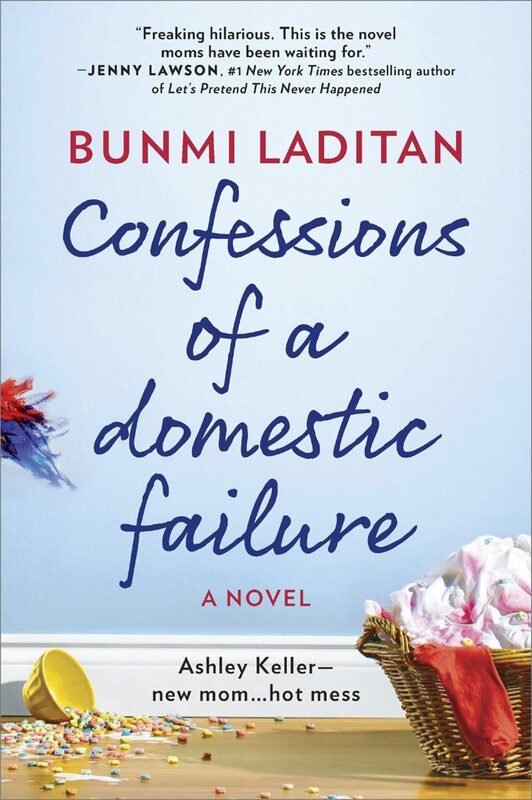 Confessions of a Domestic Failure is the type of book any mom can relate to. It’s not only hilarious but there are so many parents where you keep saying…”I totally get that!” This book is such a good reminder to any mom that just focusing on your kid and doing your best is all that counts. I promise you won’t want to put it down…well once you find time to read that is. Happy Family is a book that reminds you of how your past, present and future can all intertwine. The characters in the novel are well though out and the experience hey go through are touching. Between all the roller coasters the authors describes between relationships and life any mom can find a way to relate. Listen to Your Mother: What She Said Then, What We’re Saying Now is a book that depicts the way we all try to balance the way our mothers were brought up, the way our mothers brought us up and how we bring our kids up in this generation. Between all the tears and laughs, this book will have stuck obsessing with all the mothering stories. The Sacred Thread: A True Story of Becoming a Mother and Finding a Family–Half a World Away is a book that will touch your heart. If you have had to struggle to become a mom, this book is a must read. It really hits home to those from the Indian culture and the things that are deemed to be appropriate for women. Some Women is a book that shows the importance of friendships in any motherhood journey. It takes a housewives reality show into a more real life story. It’s entertaining and funny but at the same time shows how women have to find themselves when entering motherhood. It’s a total beach read but sometime we all need that! To guide and inspire a new generation of South Asian women to lead a positive, healthy, culturally infused lifestyle. Visit :: Chai Mommas ::'s profile on Pinterest.